Operating room management aims at the efficient coordination of surgical procedures by maximizing the number of surgical cases while minimizing the required surgery time, with the main goal of improving the patient outcome. Discrete Event Simulation can be utilized to describe, analyze and predict the impact of procedural changes in perioperative processes. The aim of this work is to provide a simulation approach for a holistic perioperative optimization. Therefore, two different process simulation techniques, namely Business Process Simulation and 3D Process Flow Simulation, were utilized. 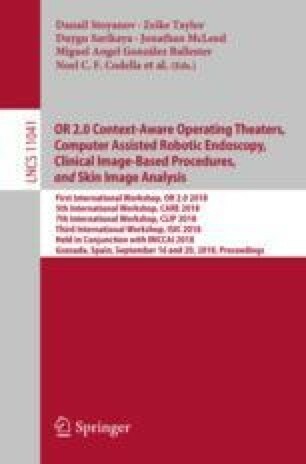 It could be shown that perioperative simulation could lead to the improvement of OR utilization, reduction of process duration and a decrease in personnel workload. We would like to thank the staff of the Department of Joint Replacement for their kind support during the study. Many thanks are also owed to Fabiola Fernández-Gutiérrez for her patient assistance on Delmia.